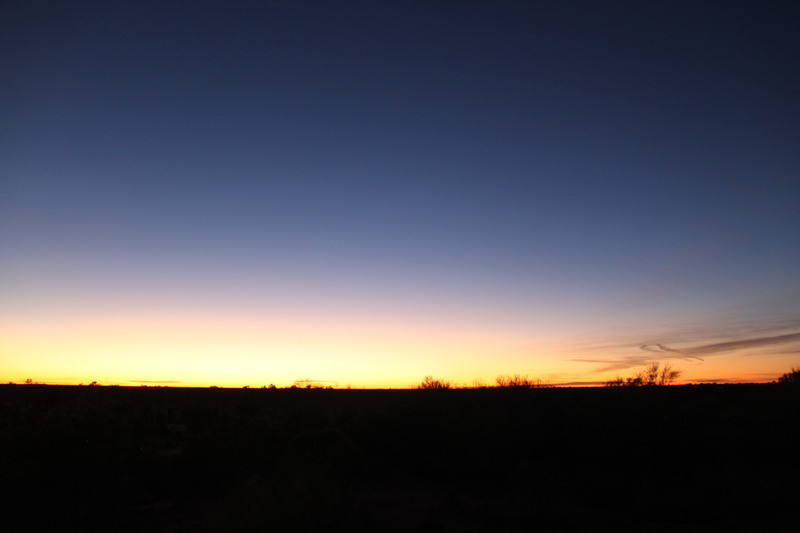 The desert morning was freezing, it was pitch black except for the moon and the “green” lights lining the path directing us to the viewing platforms. 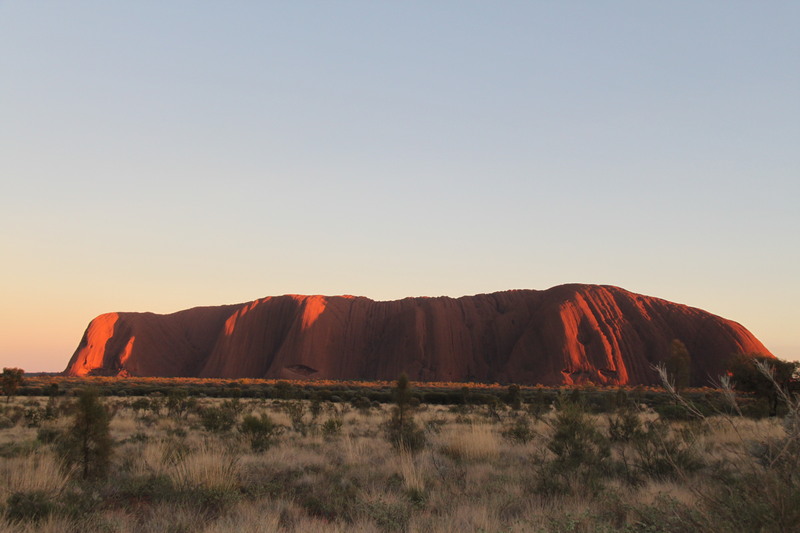 Rugged up, we trudged up the slope to position ourselves for an uninterrupted view of Uluru at sunrise. 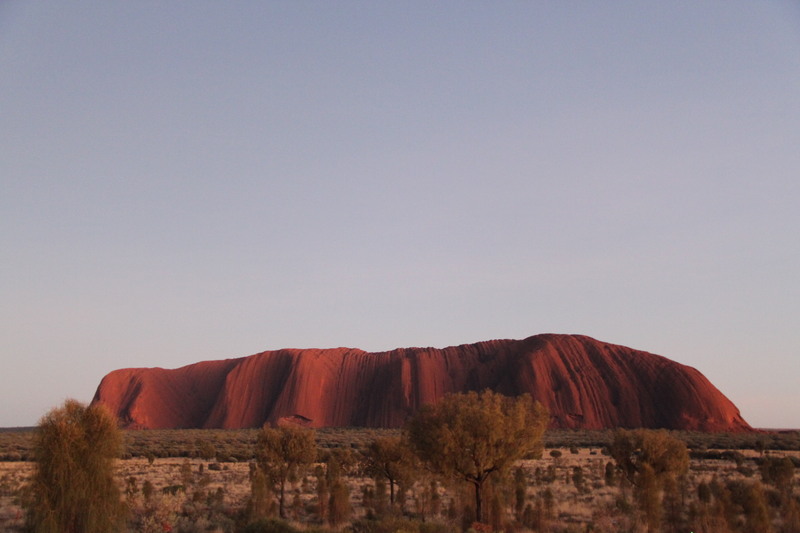 It was worth every numb finger, it was worth every shiver, it was worth waking up at 4.30am. 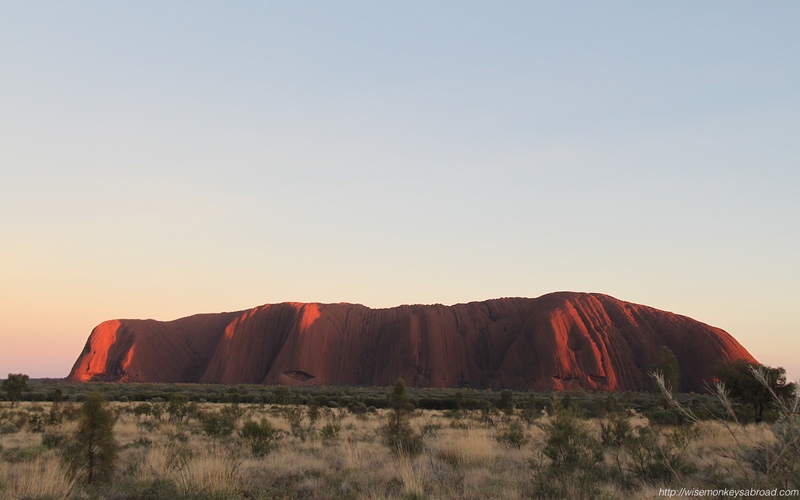 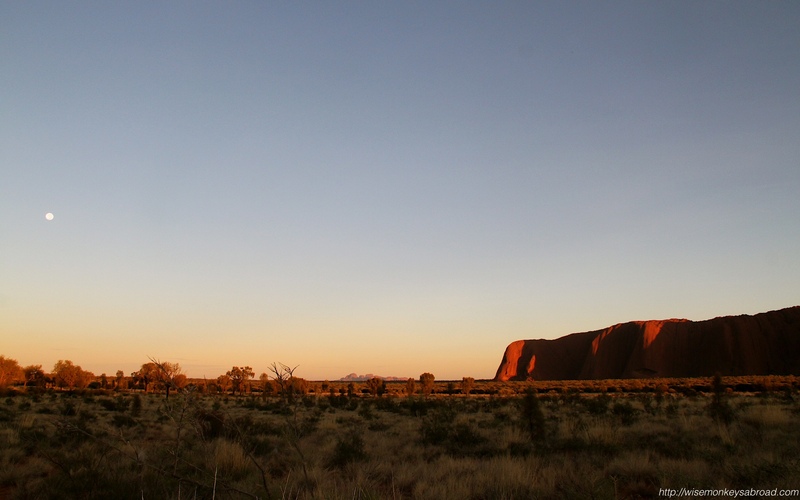 As the sun crept over the horizon in the east behind us, Uluru began changing colour. 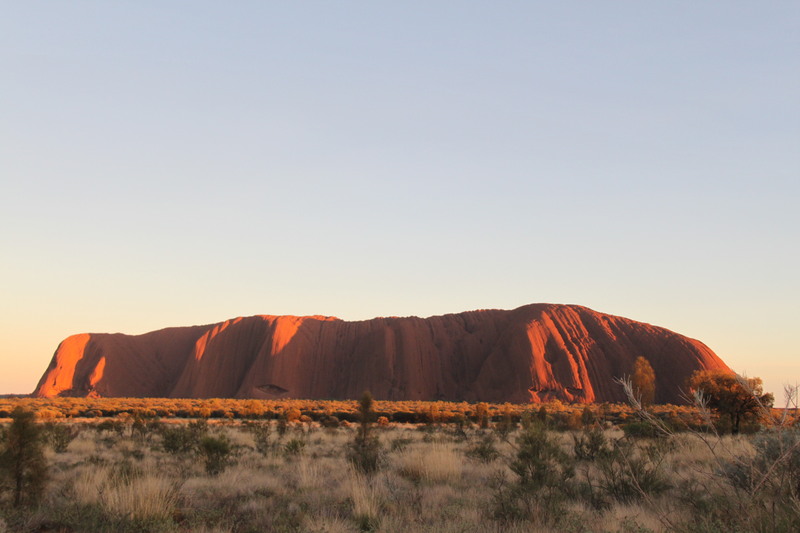 With the sunrise day tour that we booked with AAT Kings, we were spoilt (and fortunate) enough to be the only two who had booked the Cultural Walk around Uluru. 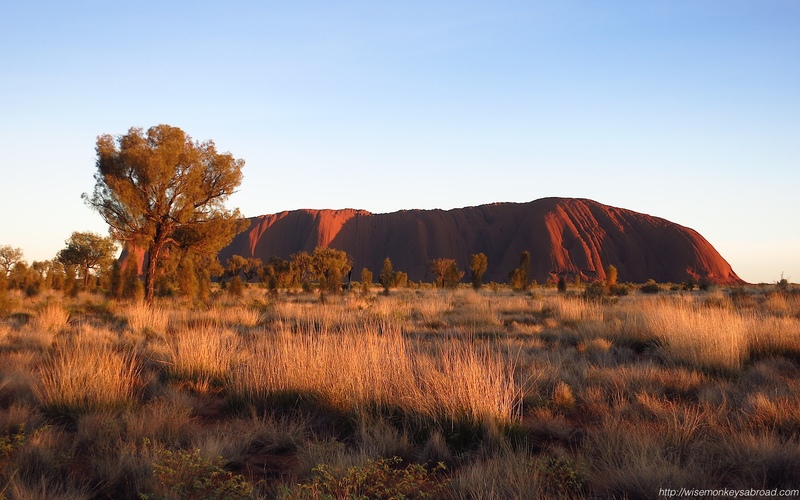 With two tour guides in tow, we were given a very personal tour of the base of Uluru. 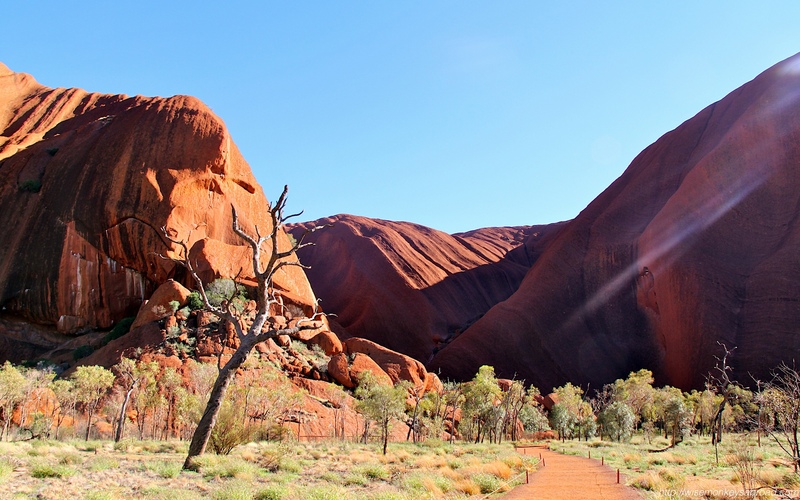 We walked half the base to Mutitjulu waterhole and also did the Mala Walk before finishing up at the Cultural Centre which has some educational and very fascinating exhibits on display. 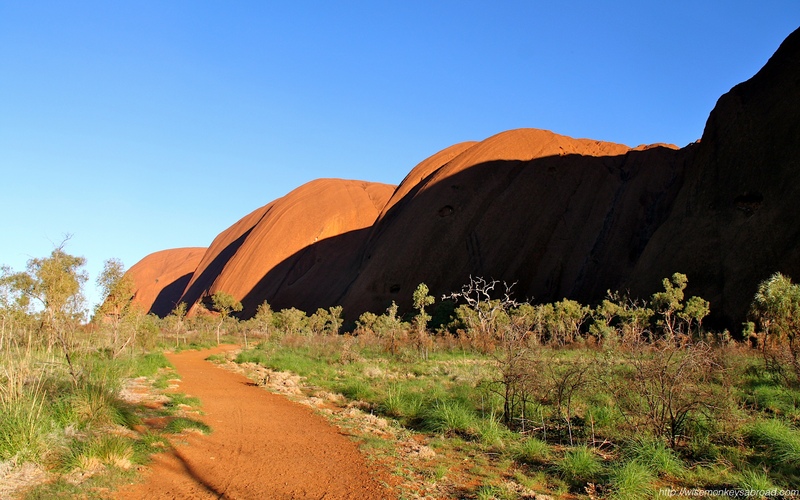 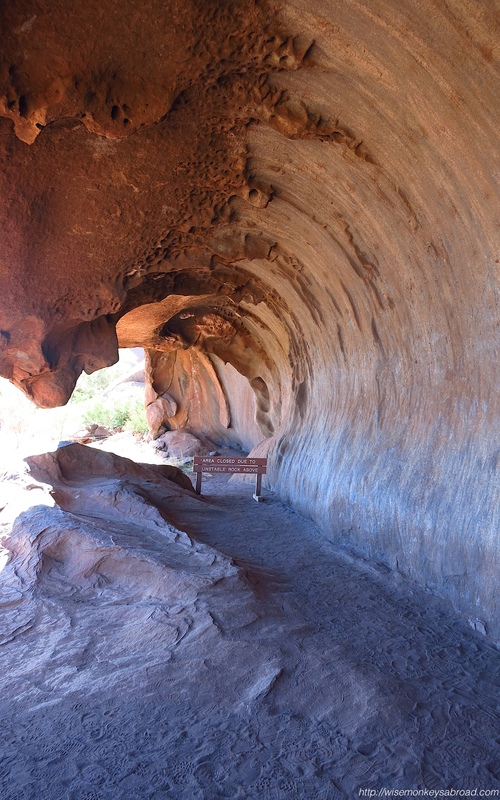 Walking alongside Uluru – we learnt a great deal about Aboriginal history. 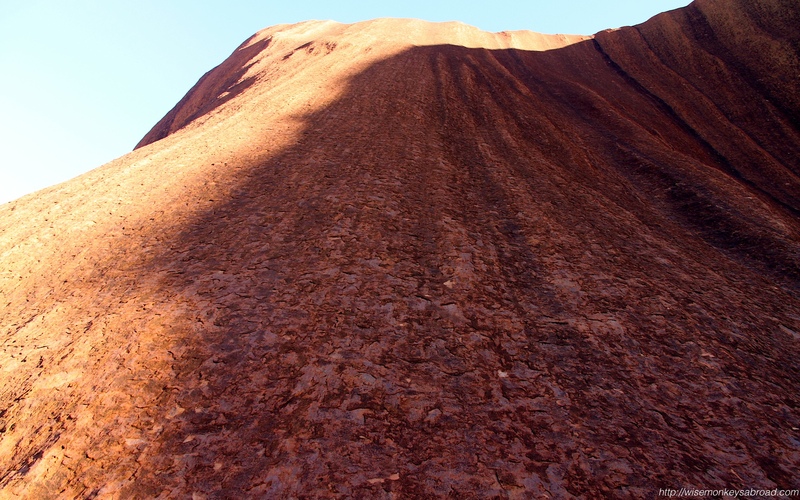 But all the time, we were looking up, and up at this massive monolith, only to see people as little as ants walking atop it! 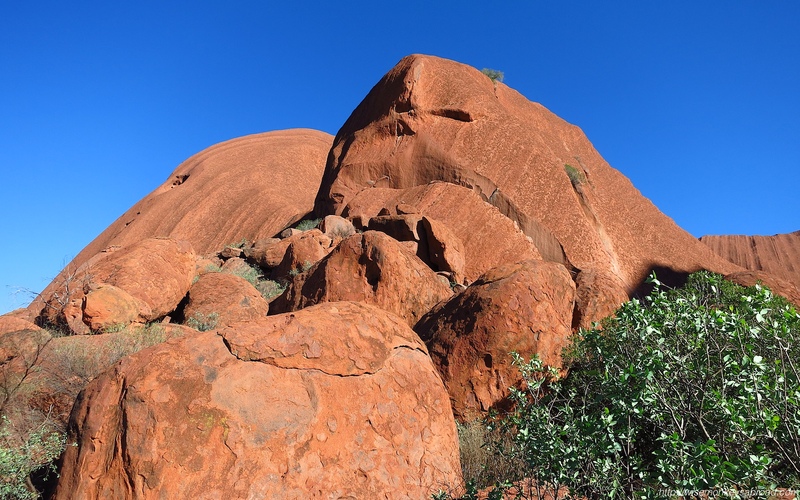 One of the tour guides, the one on our Kata Tjuta day trip in fact, provided a great “food-for-thought” statement before he sent the group on our self-guided walk. 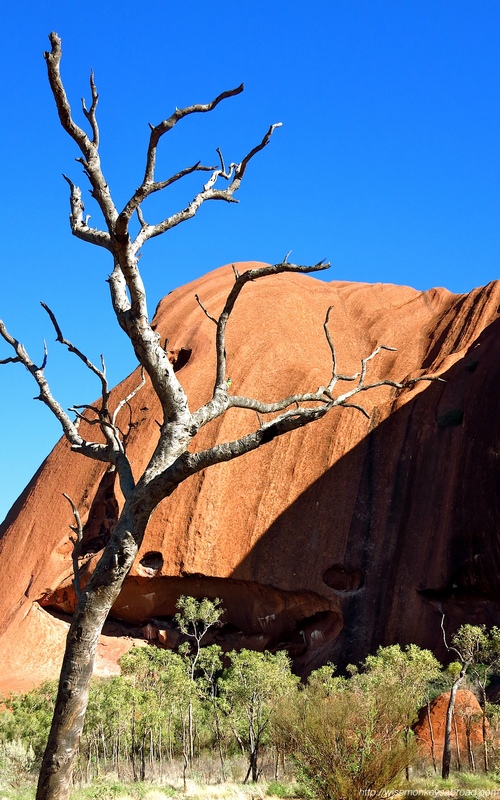 In so many words, he basically put it to us to ponder how we treat sacred sites such as churches and temples, and therefore why should these sacred sites be treated any different? 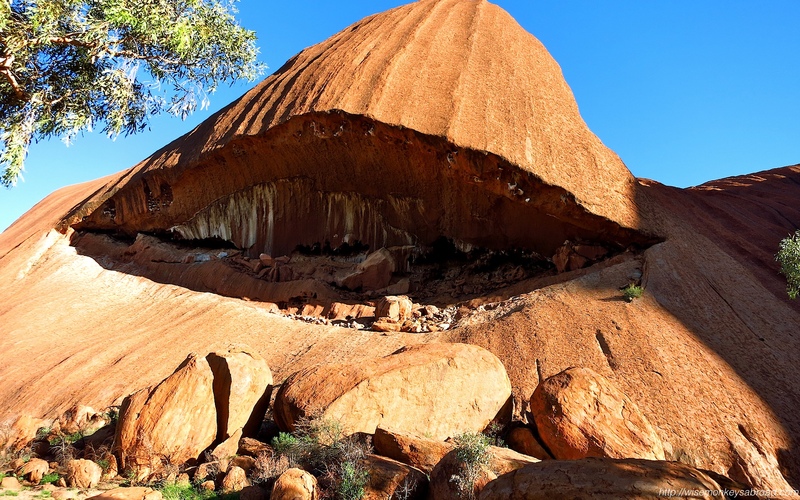 Although there is so much left for us to still explore in this area, this was an incredible taster to what the Australian wilderness has to offer. 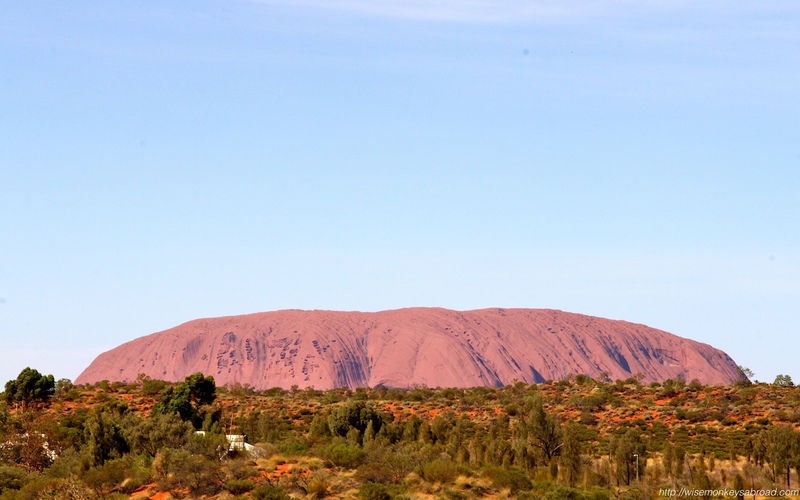 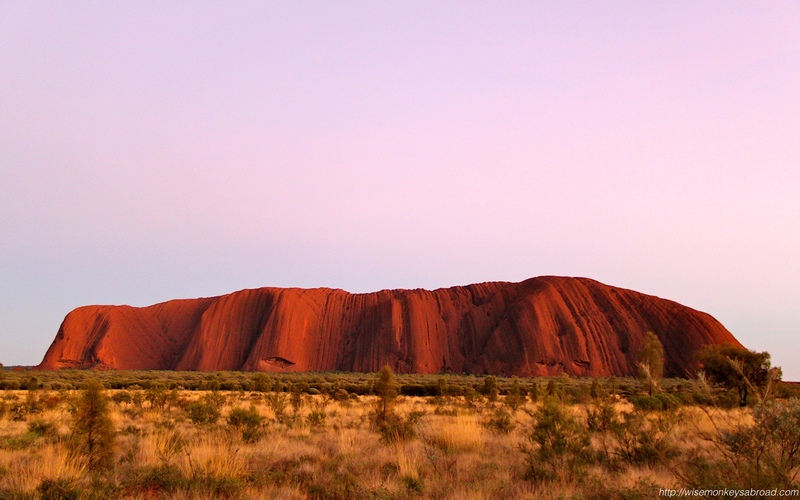 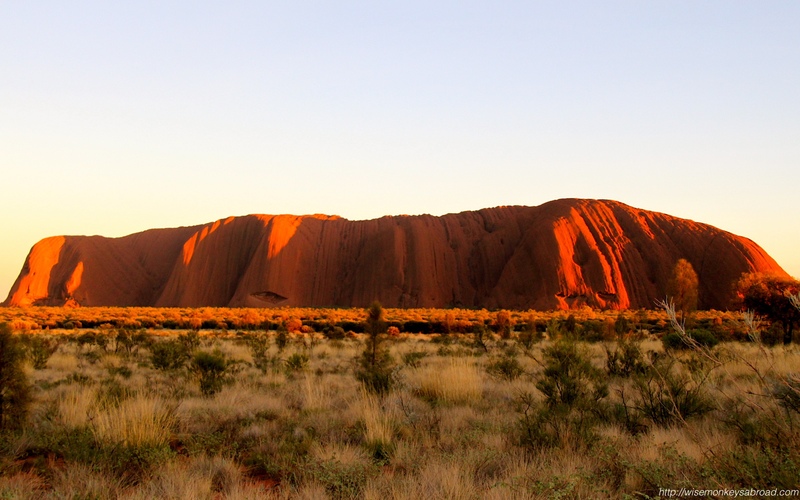 To think it has taken us this long to see Uluru, we can only get excited of what’s next on our Australia to-do list. 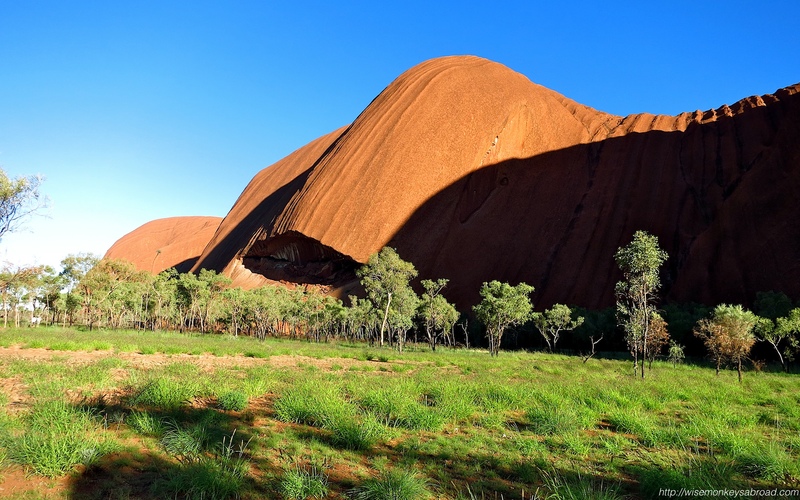 But before long, we will probably fall back to our old habits of travelling further afield before we try and soak up some more of our own backyard! 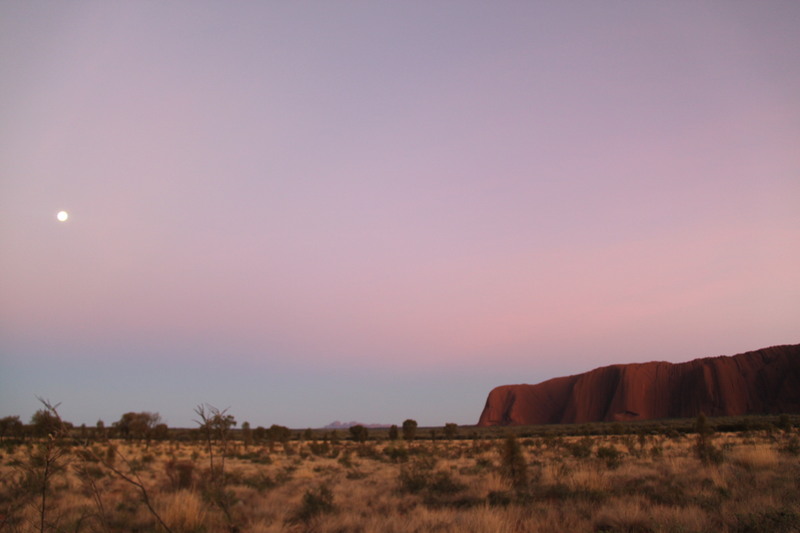 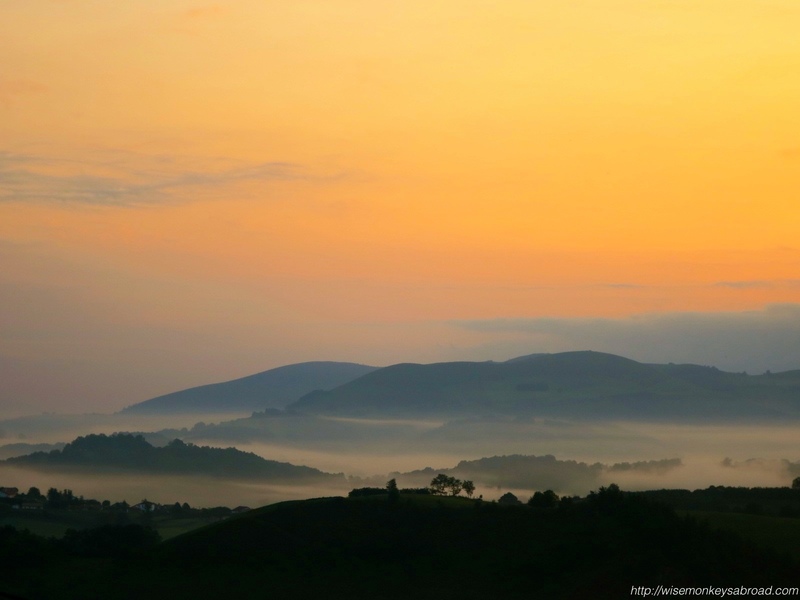 This entry was posted in Australia, Northern Territory, Oceania and tagged AAT Kings, Northern Territory, sunrise.